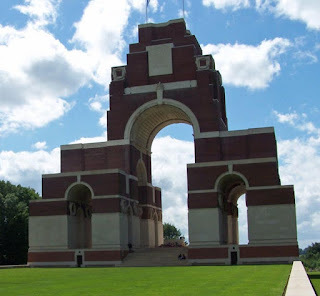 Two hundred (200) Barnsley men are now connected to a Community on Lives of the First World War commemorating the First Day of the Battle of the Somme and there are still over 50 more on the spreadsheet to check. The next sheet on my to-do list is of the Barnsley related fatalities in the rest of July 1916 and contains over 200 more names - cross checking the dates given in the Barnsley Chronicle with those given by the Commonwealth War Graves Commission shows errors of a few days in the reporting of deaths were common. 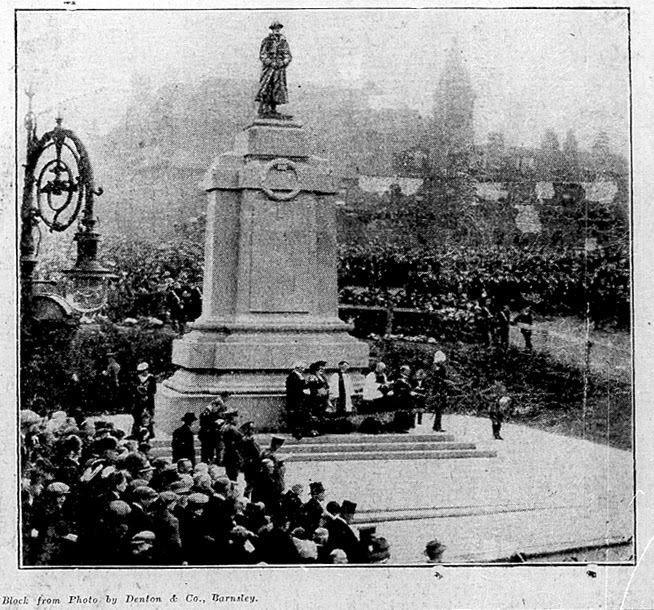 It will probably be impossible to say conclusively which men died on 1 July and which on the 2nd or at some point in the days following 'The Big Push' as it was called in Barnsley. Many men were reported missing during the Battle of the Somme, which continued until November 1916, and their deaths were not confirmed to their families until the following year. The Barnsley Chronicle for July and September 1917 which we are currently indexing contains a number of 'In Memoriam' notices for men who had not been reported in the newspapers as killed the previous summer. We know that families often held out hopes that their men could yet return and because of this did not want their names to be added to local war memorials after the war was over. Over 300 Barnsley men who were lost in July 1916 are named on the Thiepval Memorial, shown above, as they have no known grave. If you have been following the progress of this Project you will know that we aim to produce a Roll of Honour commemorating all the Barnsley men and women who lost their lives during the First World War. When the War Memorial (above) which now stands in front of Barnsley Town Hall was being planned steps were taken to collect names in order to "have the names of the fallen inscribed on vellum and preserved with the records of the Borough in the Town Hall" (Letter appealing for subscriptions from Mayor Sam Jones dated June 1922). However nothing came of this and the Barnsley Council and Archives staff have been unable to find a trace of a list or even of the postcards with names put forward that we know the Town Clerk received. We are being quite strict now on the criteria for the Barnsley Roll of Honour - the men need to have been born in Barnsley, lived here at the point they enlisted or be remembered on any of Barnsley's more than 600 war memorials. You can look at the lists of names on these memorials by following the links on War Memorial Index tab above. Individuals, groups and societies in the areas surrounding Barnsley are also researching and commemorating their WW1 men and women and we do not wish to 'tread on anyone's toes' by annexing a man they consider theirs. A few men previously counted because they enlisted in Barnsley or because they appear on borderline memorials in Cortonwood, Wath, Mexborough, Felkirk, Woolley and Chapeltown and so on, have now been reluctantly ruled out because they appear to have always lived on the other side of the current Barnsley MBC boundary. Of course we would be happy to be proven wrong and would much rather include a man whose connection is tentative than exclude anyone. For example yesterday I looked at a chap called Harry Parsons who is remembered on the Cortonwood War Memorial. He was born in Birmingham and his next of kin on his Army Service Records (available on Ancestry, free to use in Barnsley Libraries and Barnsley Archives) was his father who still lived there. However in the 1911 census and when he enlisted in 1914 he was living in Wombwell, and thus he will be remembered on our Roll of Honour. Next summer, 2016, there will be a new exhibition at the Experience Barnsley museum in Barnsley Town Hall looking at the effect of the progress of the war on Barnsley and its people. Consideration of the impact of the losses on the Somme will no doubt form a large part of this exhibition. 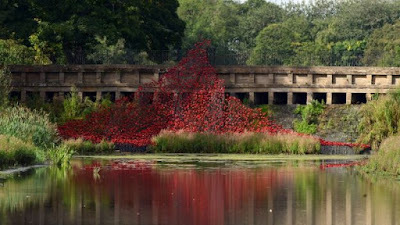 There is no other month during the First World War where we lost more men than in July 1916. We must also never forget the men who were wounded and those who, although they returned home, were forever changed by their experiences. For hundreds of Barnsley families life would never be the same again. If you have family photos or memorabilia connected to the 1916 phase of the First World War which you would like to share as part of the exhibition please get in touch with us, bwmp2015@gmail.com or contact Experience Barnsley directly to enquire about this. In the meantime why not visit the Yorkshire Sculpture Park and contemplate the Wave of poppies from the Tower of London on display there between September and next January. Thanks to Pete for his hard work compiling our master spreadsheets, to Colin, Phil and Gill for continuing to index the Chronicle for us - more volunteers always needed - and to all the other groups and individuals who have helped us with research, photos and information about their men.